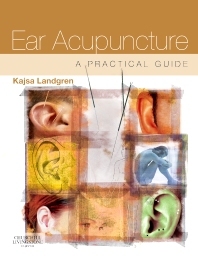 Ear Acupuncture provides an up-to-date practical guide to the principles and practice of Chinese and Western ear acupuncture. Written clearly with a practical and sensible approach, this book is aimed at both the student and also the practitioner. Excellent two-colour illustrations are used throughout to illustrate the text. Additionally, it integrates the Chinese and Western opinions and also includes chapters covering ear acupuncture used in the treatment of addiction and also the Western theories about how acupuncture works.